Whether you are fulfilling direct to customers, to a retail network, to distribution partners, or to other facilities in your network, customer experience hinges on the answers to these fundamental questions. Packaging, branding, tone, well-trained representatives, follow-up, great processes and other factors matter, but if your customers don’t get the right thing, shipped on time, undamaged and in the right quantity, they may not matter all that much. A great order picking operation impacts customer service more positively than a nice website, a polite customer service process, automated emails, great attitudes or most anything else you can do. Customers are loyal to brands, but brands build loyalty by getting the fundamentals right. The best companies work customer service from the core and understand that the way they design facilities and processes have a fundamental and direct impact on customer service – even if customers never consider the supply chain or order fulfillment process. They just know that orders arrive on time, correctly and without defects. 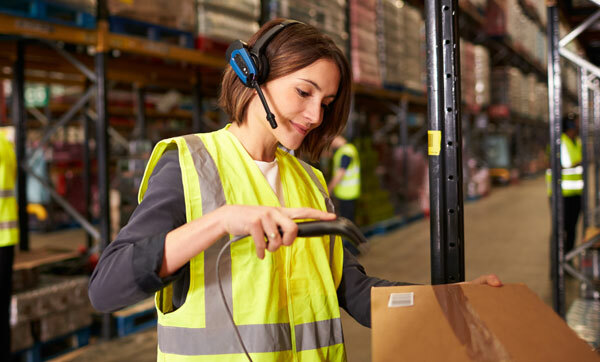 This focus on the order fulfillment process is where you can create valuable customers who won’t go elsewhere, and one of the least expensive ways to do that is through a material handling system that aligns customer service all the way through the process. Does your order entry process center on customer service? Order entry is a broad category that reaches from integration between ecommerce, ERP and warehouse management software systems. The key component in this is to remember that all of these systems should provide the best possible customer experience. That means delivering picking instructions (whether physical pick tickets or digital instructions to pick-to-light, pick-to-voice, or other systems) to the warehouse that is understandable and efficient. Designing from the standpoint of customer service may not radically change the process, but it may cause tweaks that let your people on the floor do their best work. Are your inventory priorities based on customer experience — or financial data? There is a difference between efficient stocking policies and stocking policies designed to satisfy customers. Carrying costs vs. out-of-stocks: There is always inventory management tension when it comes to carrying costs vs. the risk of stock-outs. Carrying more than the minimum lets you fulfill orders and prevents customers from going elsewhere. Keeping inventory at a “best case” level helps you distinguish yourself from competitors who aren’t willing to bear carrying costs. You become a reliable partner to customers, and prevent them from establishing relationships with other companies. 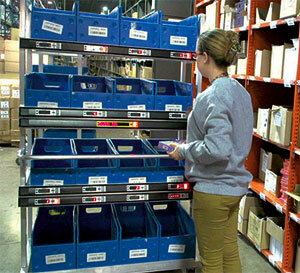 Customer-service-driven inventory lets you reduce lead times. Stocking the right items at the right levels from a customer-driven perspective lets you provide them “now” and helps set you apart from competitors who cannot do that. Having it ready to go is a serious advantage that others may not be able to replicate. Filling an emergency order because you could do it days (or weeks in some cases) faster than others will make customers more loyal. Customer-driven inventories give you pricing advantages. Customers like consistency, but in a volatile market, that’s never a given. If you have inventories that let you set prices longer than competitors, you can drive both margins for you and value for them. When you establish inventory policies, customer satisfaction should be at the top of mind. You’ll always have to balance carrying costs and other factors, but the inventory is really there for your customers. Accepting a bit less efficiency for a more satisfied and loyal customer base will always pay off. Does your order picking process revolve around customer needs? Pickers are usually split in their focus when it comes to general performance metrics. They need to be fast, and they need to be accurate. These goals have always been in conflict, and both go to the heart of customer satisfaction. Fast picks mean that customers get it on time; accurate ones mean they don’t get shorted on an order. Both things have a dramatic impact on customer experience, but the degree to which they matter may vary. The best situation is to be lightning-fast and 100% accurate, but you’ll always have decisions to make about where your priority rests. From the perspective of your customers, what matters more? That may vary between orders and customer types, but if you design your picking system (from stocking slots to material handling systems) to maximize both, you can hedge the answer. The important thing is to focus on customer needs as you design systems. This may mean that you spend more money on things like light-directed picking or employee development because these things help you serve your customers better. Does your shipping department focus on customer service? Once orders are picked, packing and shipping have direct impacts that should be considered through a customer service lens. Many companies do quality control and accuracy checks in shipping areas. One of our customers basically reassigned its quality control team to shipping once it was satisfied that its order picking operation had dramatically reduced its error rates, allowing the shipping team to dual-function quality control and shipping. The shipping area is your last chance to make a good impression for customers. Above all, the mindset is critical; how can a packing/shipping area impact the customer? How can you improve the process so that customers receive undamaged goods, packaged correctly, in the right quantities? If you can use this final, critical touchpoint to improve the customer experience, you’ll be ahead of many competitors. Turning your mindset toward customers helps you think of places where automated machinery, employee training, and other factors can ensure that your customers never think about your order fulfillment operation. One of the key things to remember is that your focus should be on metrics that directly impact the customer experience. These aren’t greatly different than metrics that attempt to measure efficiency, but they let you examine these factors from a customer-centric point of view.